Amreli is a small city in Kathiawar in Gujarat. The Kathiawar, peninsula of western India, is in Gujarāt State. The peninsula extends southwest into the Arabian Sea and is bounded on the northwest by the Gulf of Kachchh and on the southeast by the Gulf of Khambhat. Lathi is a taluk headquarters in Amreli District. It is situated 9 km to the south of Chavad and 19 km to the east of Chital. Lathi is the birthplace of the poet Kalapi. Shri Swaminarayan Temple is the prime attraction. Bhurakhiya Hanuman Mandir and Khodiyar Mandir at Babra are also major tourist spots accessible from here. It is believed that during the year 534 AD Amreli existed was formerly known as Anumanji, Amlik and then Amravati. The city is named in ancient Gujrati as Amarvalli. It is learnt from the prescription that Nagnath temple that ancient name of Amereli city was Amarpalli. Initially Amreli was the part of the former Gaekwad of Baroda. Very few information on historical background is available for Amreli District prior to becoming part of erstwhile Vadodara State. Amreli district was named after Amreli city. It is a head quarter of the district. When Damajirav Gayakwad came to Kathiawad in about 1730, three parties viz kahtis of Dubalia carter, some saiyads holding saneds of lands obtained for the king of Delhi and Fozdar of Junagadh subcrsinete to suba of Ahmedabad Damajirao levied tribute on all Damajirao Gayakwad, the Marotha leader, established military camps at Amreli and Lati in 1742-43 A.D. There was control of Vithalrao Devaji, Gaykwad Suba on Kathiawad upto 1820. He lived at Amreli, capital of territories acquired by Gaekwad. During the Gaekwad regime in 1886, the compulsory and free education policy was adopted in Amreli for the first time. After Indian independence in 1947, the district became the part of Bombay State and then a separate district in Gujarat State after the division of Bombay State in 1956 into Gujarat and Maharashtra. 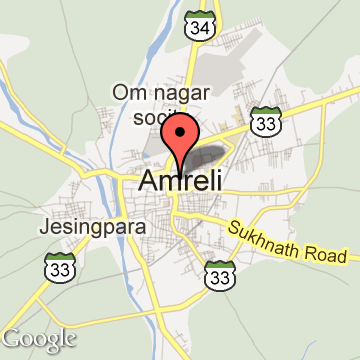 Amreli Tourism - Get all information on Amreli tourist places and sightseeing tours. Our website helps you plan your next tour and gives you great ideas on what to do, where to eat, where to stay and when to go there. We give the best information from the web to give you precise, meaningful and useful travel guide for leading places to visit in India and from across the world. Our travel information on AMRELI tourist places, tourist attractions, major sightseeing, the best time to visit, the top places to visit in Amreli, the must-see things to see and do, maps, restaurants, hotels, nearby tourist destinations, local public information and more. 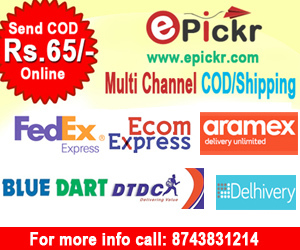 To start with check out information on how to reach Amreli.